Darron Fuqua (87) and Jon Sheets (8) are two of the Pitts Homes USRA Modified regulars who will mix it up with the USMTS touring stars on Saturday. Saturday's 9th Annual Slick Mist Show-Me Shootout presented by Foley Equipment could be the ultimate test of dominant home track drivers against national touring stars. Darron Fuqua, who's been the Modified King of Lucas Oil Speedway this season, is ready for the challenge. "I'm really looking forward to it. We kind of have the home track advantage, I guess," said Fuqua, who has seven feature wins in the Lucas Oil Speedway Pitts Homes USRA Modified division. "Hopefully we can use that to help us get our first USMTS win." Fuqua, who's also the Summit USRA Weekly Racing Series national points leader in his division, and the other local competitors will find out how they measure up in a program that's part of the USMTS Hunt for the Casey's Cup powered by Summit. The Ozark Golf Cars USRA B-Mods and Big O Tires Street Stocks also will be in action, running for Big Adventure RV Weekly Racing Series points. J.C. Morton holds a nine-point lead over Taylor Moore in the B-Mod season chase and David Hendrix is 35 in front of Brian Schutt in the Street Stocks. 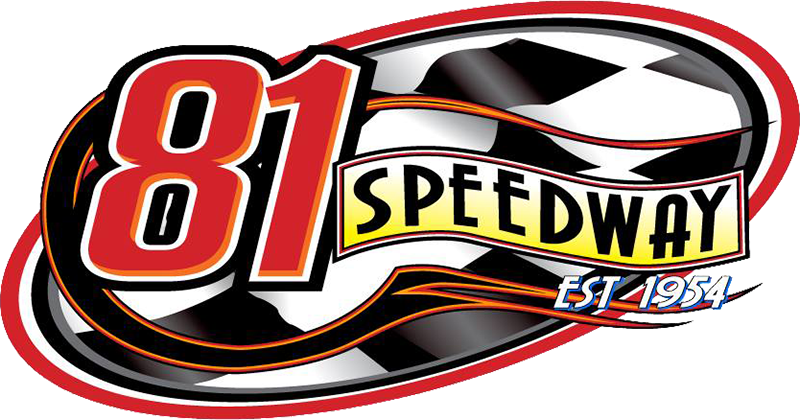 The main event will see the cream of the Modified crop, whether track regulars in the Pitts Homes USRA Modifieds or USMTS national touring regulars, chasing a $3,000 feature win. Johnny Scott of Las Cruces, N.M., leads the USMTS Hunt for the Casey's Cup entering the weekend, 167 in front of Rodney Sanders of Happy, Texas. Scott has six wins in 24 series starts this season, but it was Sanders who came home the $8,000 winner on July 21 at the Silver Dollar Nationals at I-80 Speedway in Greenwood, Neb. Fuqua, of Mayetta, Kan., qualified for the Silver Dollar Nationals, but pulled off early in the race and finished 23rd, saying "we missed the set-up pretty bad." Tyler Wolff of Fayetteville, Ark., made a white-flag pass to hand Fuqua a rare weekly series defeat last Saturday at Lucas Oil Speedway. Nonetheless, Fuqua's confidence remains high entering the weekend USMTS doubleheader, which opens Friday at Humboldt Speedway in Kansas. Fuqua said he and the team are putting in some extra preparation on the car this week, fitting it with new tires and making sure the oil is fresh and the bolts are tightened. "We won't leave anything on the table," he said. "We just want to put two good runs together. Hopefully we can run top five both nights. That would be good." Two track provisionals will be awarded for the USMTS feature. Zack VanderBeek of New Sharon, Iowa, won the last appearance by the USMTS at the track in 2016 as last year's Slick Mist Show-Me Shootout was rained out. Fans can pick up $2-off discount coupons this week at Casey's General Stores locations throughout the area. USMTS driver Joe Duvall will be doing a meet 'n' greet from 11:30 a.m. to 1 p.m. Saturday at the Casey's in Wheatland. Visit www.Caseys.com to find the location nearest you. June 27, 2009 - Jason Krohn, Slayton, Minn.
Aug. 11, 2012 - Terry Phillips, Springfield, Mo. Aug. 10, 2013 - Jeremy Payne, Springfield, Mo. Aug. 9, 2014 - Terry Phillips, Springfield, Mo. Aug. 8, 2015 - Johnny Scott, Las Cruces, N.M.
Bring on the Q: Championship-quality barbecue also will be happening this weekend at the speedway as the 2nd Annual Red White Blue & Que will be happening next door at the Drag Boat Track midway. A total purse or more than $5,000 will be on the line. At least 35 teams, including Kansas City Barbecue Society No. 1-ranked team in the nation Gettin' Basted out of Branson, are entered. Fans are invited to browse the barbecue competition before Saturday's races and check out the teams as they compete in steak, chicken wing and margarita competitions. The KCBS portion of the competition will be held on Sunday. The Shriners will have a motorcycle night on the midway after completing a 98-mile poker run to the speedway, as part of the Red White Blue & Que festivities. In addition, the Great American Cookout Tour also will be on hand, giving grilling demos and passing out information about outdoor cooking. Visit www.RedWhiteBlueQ.com for more information about the event, which benefits Korean and Vietnam War veterans, along with TheWarriorsJourney.org, an online resource to help veterans.